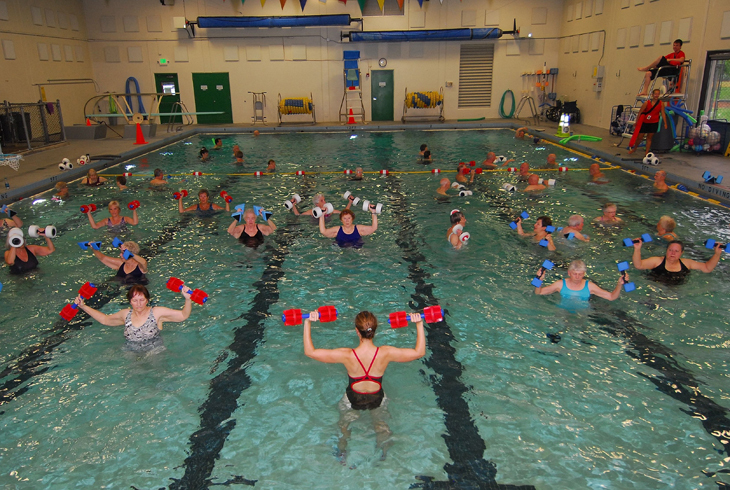 Achieve your fitness goals at one of our Aquatics Water Fitness classes! To make finding the right water fitness class easier than ever, THPRD is excited to announce updated class names and level definitions. These classes will focus on breathing, stretching, range of motion, and balance. No experience is needed. Classes are appropriate for all fitness levels and those with arthritis. In these classes, the focus is on range of motion, stretching, and moderate aerobic activity. Focus here is on building aerobic endurance and strength. Some endurance for physical activity is recommended. * Healing Waters is a therapeutic program designed for individuals working on rehabilitation or ongoing exercises in conjunction with their physical therapy to meet their fitness goals. For this class, different fees apply; Deluxe Pass does not cover admission to the program. For more information, please visit our Healing Waters web page.